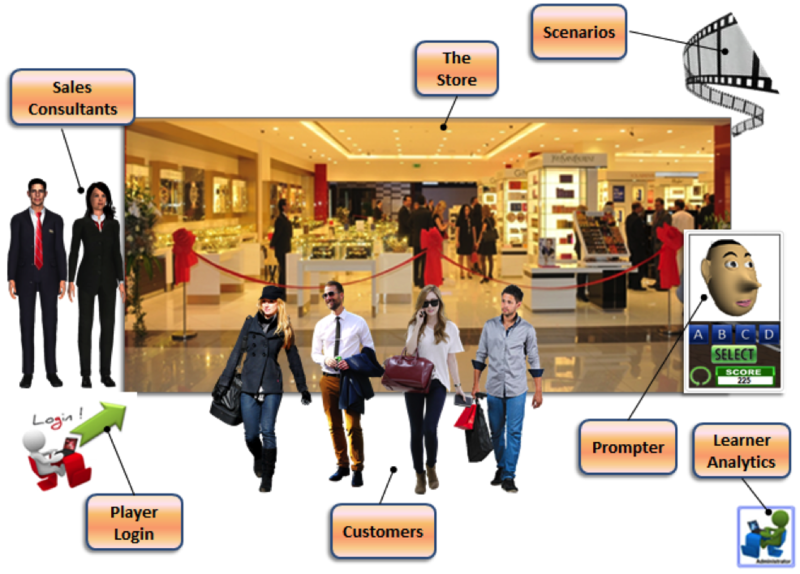 This is an Activity based 3D Graphical ‘Gamified & Immersive’ system for the Retail industry. It has a Model Store as the setting, with related props, products and role based staff. The Learner assumes an avatar and walks along a ‘Learning path’ in this virtual environment. Learning courses are structured on multiple levels, each with learning content, quick-quiz, Role-plays and contextual games. Company specific Learning courses – for Company Induction, Products & Services, Customer Service, SOPs and HSE – can be hosted on this platform. There are various models for hosting, with access from anywhere through the PC, tablet or VR headset. Learner progress is tracked by using the Admin features from a central location. Copyright 2017-18 | All Rights Reserved.